Manuel Albeno is a 68-year-old father of nine, and grandfather of many more. 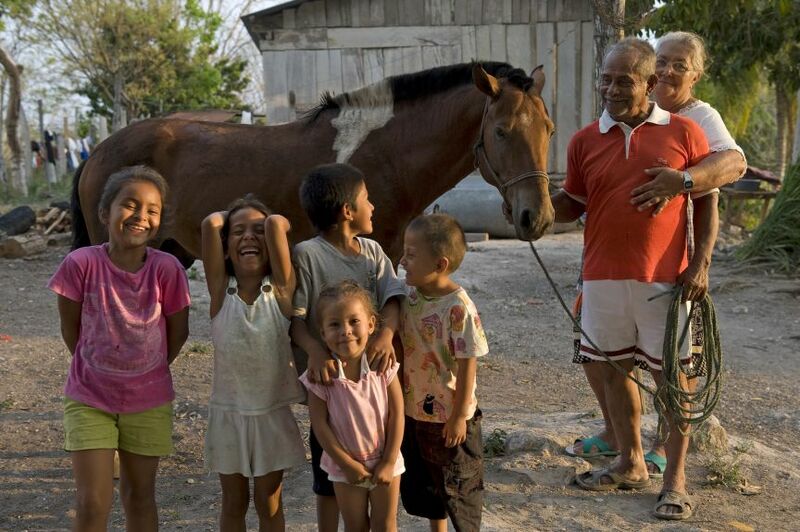 He is a gentle man who rides his stallion Carmello every day to work his land in Guatemala to support his family. Carmello won first prize in a Brooke-sponsored contest for being the horse that exhibited the best welfare in his community. One of the reasons Carmello looks so good is because Mr. Albeno considers him to be an important member of the family, and has accessed all that Brooke has to offer to keep Carmello in good health. Smiling at Carmello as he would one of his own children, it's obvious that the bond between the two is strong, and with the Brooke's help will continue for many years.